My favorite music group—is the Beatles. My high school friend and I spent many hours listening to their music, learning their lyrics, and reading all we could about them. Two years ago, I bought Beatle themed fabric and made her a quilt. I had lots left over and so I decided to make one for myself. Last year I made a strip quilt from assorted fabrics and decided that I would try that again. 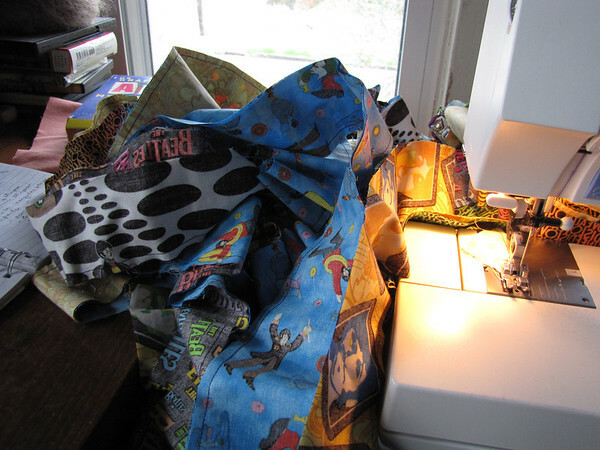 I cut lots of strips from my fabric, and thought I might add in some random squares or rectangles to break up the strips. What size would it be when finished? I wasn’t sure but thought I would just dive in and start. 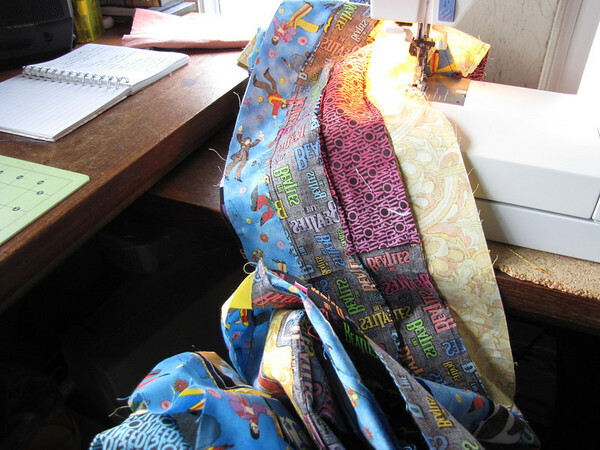 Here is the first pile of strips–sewing them end to end. 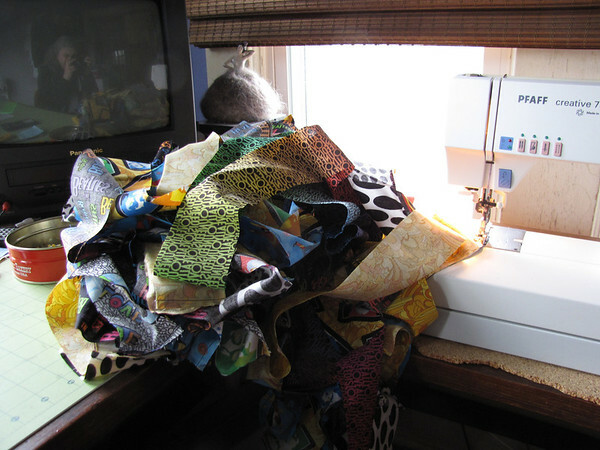 Sewing the end to the beginning and down to the end always seems to take forever and it gets tangled up and winds around your feet and your bobbin runs out and you don’t see it until you’ve gone a yard or more. And then you put end to beginning again, and several times later it’s done. I added some cross pieces for interest and here is what I have so far—just the top–and waiting for a pieced back. 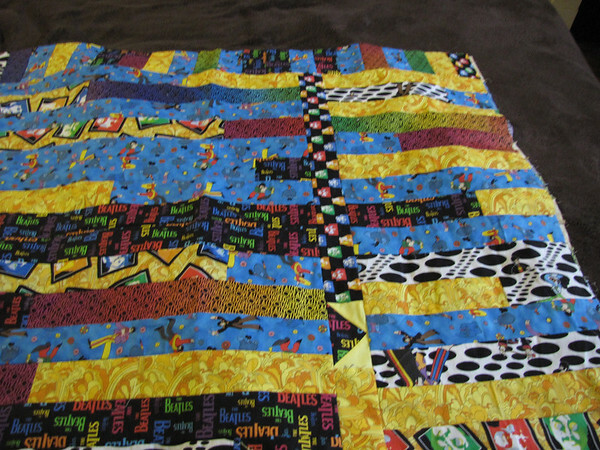 Unfortunately it will be at the bottom of the stack for quilting—but I’m pleased with it. It will bright and cheery–all that yellow! Yellow submarine that is!